I liked the apple dessert thing in the center that was always covered in gravy and corn. LOL! You’re right about the gravy and corn. 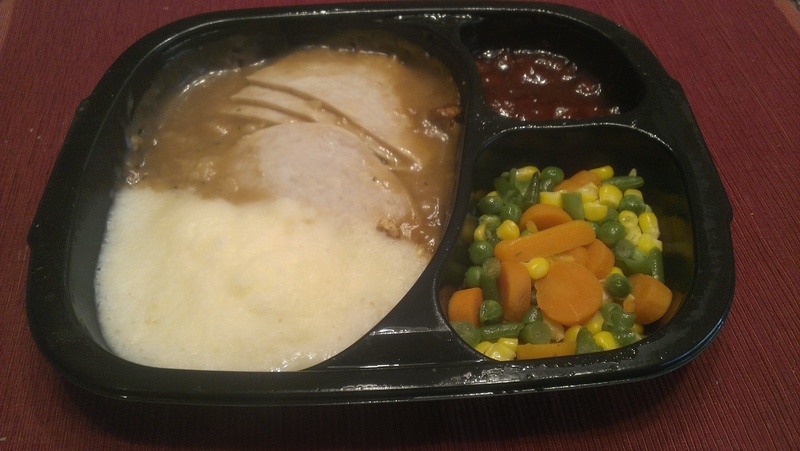 TV dinners are not a good idea for people who obsess over their food touching. Fortunately, I don’t care about that myself. I’m with Edmonton…that really was the best! I remember when I lived with my Dad and my step-mom would call me from her work asking me what I wanted for dinner. This was always on a Friday and my parents would always eat steak. I would tell her that “Swanson’s Fried Chicken TV Dinner” is what I wanted. This of course was when I was much younger and didn’t quite appreciate a nice T-bone steak. On a side note. TV dinners have come a long, long way. Kinda like those Virginia Slims. Nothing is cooked in the oven anymore. It’s all microwave but darn it…I will still bake off those Chicken Pot Pies and anything with ‘fried’ in it. I always liked the “boneless fried chicken” TV dinners myself! Though how they got rid of the bone while keeping the shape of the chicken intact is a mystery I probably don’t care to learn. I agree with you: I never microwave Pot Pies. That’s just wrong.